The state concern "Turkmengas" will take part in the international oil and gas conference and exhibition Petrotech-2019, which will be held on February 10-12 in New Delhi. Deputy Prime Minister Myratgeldi Meredov informed the head of state about the preparations for the upcoming forum at the government meeting held on January 23. As reported, the national stand will introduce the prospects of development of the oil and gas industry of the country, implemented major investment projects, including the construction of the Turkmenistan-Afghanistan-Pakistan-India gas pipeline. As the head of state stressed, the energy policy of Turkmenistan, which has huge reserves of hydrocarbon resources, is aimed at the comprehensive development of the fuel and energy complex, its diversification and integration into the global energy system. One of the priorities of this strategy is mutually beneficial international cooperation. In this context, a significant role is given to specialized industry forums held in our country and abroad. They contribute to the exchange of experience, attract investment and new technologies, establish direct business contacts with leading financial and oil and gas companies in the world. After hearing the report, Gurbanguly Berdimuhamedov instructed the Deputy Prime Minister to organize a large-scale national exhibition at a high level to demonstrate the achievements and potential of the domestic fuel and energy complex at the international oil and gas conference and exhibition Petrotech-2019. Among the key themes of the exhibition should be Turkmenistan's initiatives to create a new architecture of global energy security, in accordance with which large-scale projects are being implemented to create a multi-vector infrastructure for the export of Turkmen energy carriers. A striking example of this is the TAPI gas pipeline. 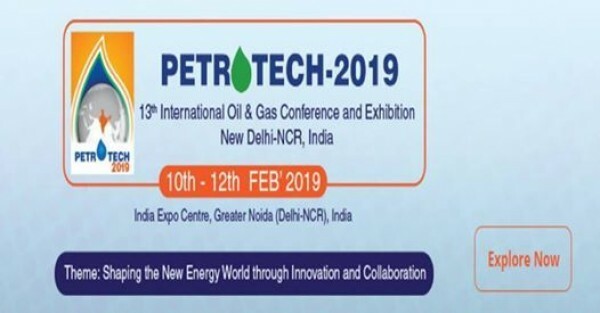 The key feature of the Petrotech-2019 forum is that it is aimed at the development of start-up projects in the oil and gas industry and attracts to stimulate, develop and expand the use of innovations in the industry.